Want to see over 65 historically significant aircraft in one place? Check out the Canada Aviation and Space Museum in Ottawa, Ontario. 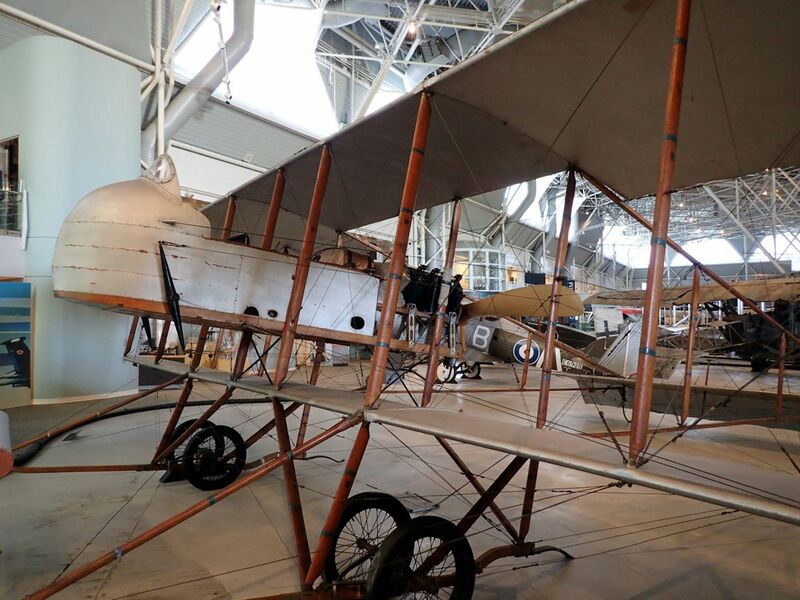 A visit to this museum’s vast exhibition gallery provides a first-hand look at aircraft that have shaped both Canadian and world aviation history. Displays cover early aviation, war planes, bush flying, helicopters, fighter jets, commercial air travel, space exploration and more — with detailed information placards that left my very curious mind very satisfied. Here are some highlights from my visit in September 2018, presented in rough chronological order by age of aircraft. It may look like a wooden tub suspended inside a vintage banister, but the French-designed S.11 Shorthorn was widely used by Allied forces for reconnaissance and light bombing during the first part of World War I. The Shorthorn is a “pusher-style” plane, meaning that it’s powered by a rear-facing propeller that “pushes” the plane from behind the cockpit. The Museum’s S.11 is one of only two surviving Shorthorns in existence. The all-metal Junkers J.I was designed in Germany during World War I as a low-level front-line observation and attack plane. In 1917, it became the first all-metal aircraft to go into production anywhere in the world. 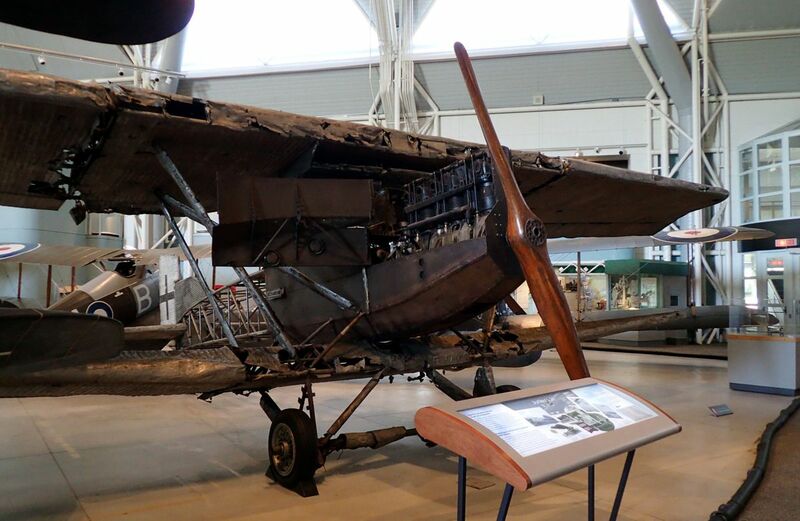 The Museum’s Junkers is the only surviving J.I in existence. It was sent to Canada from France as a war trophy in 1919. The G.IV is a German-built World War I bi-plane with two engine-driven propellers mounted on its lower wing. 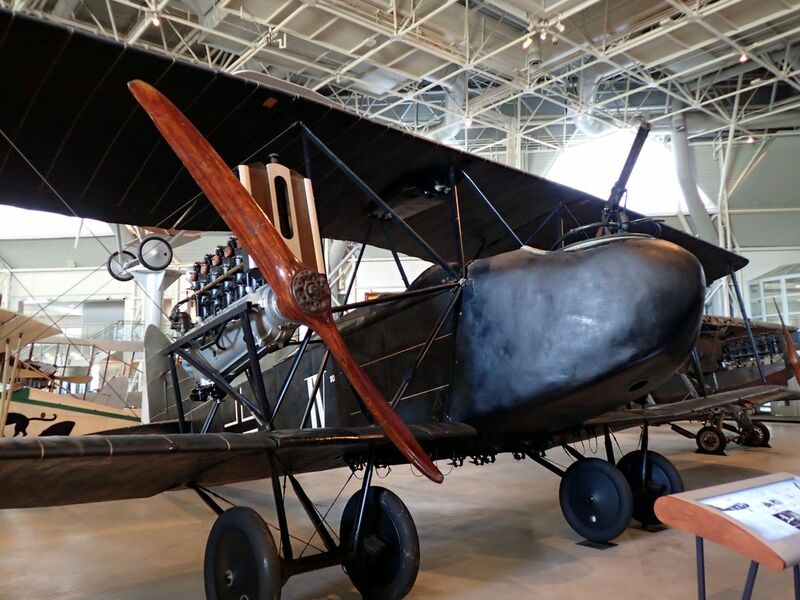 The Museum’s G.IV is the only surviving example of this particular aircraft — and the only surviving example of a twin-engine German aircraft from World War I — in existence. It was captured and shipped to Canada as a war trophy in 1919. Basically an early-concept float plane, the unusual-looking Curtiss HS-2L was designed by the U.S. Navy as a “flying boat,” capable of landing and taking off on water, and was intended to combat submarines during World War I. After the war, Canadians began using surplus HS-2Ls as bush planes: an HS-2L recorded Canada’s first bush flight in 1919 — and provided our first regular airmail service in 1924. 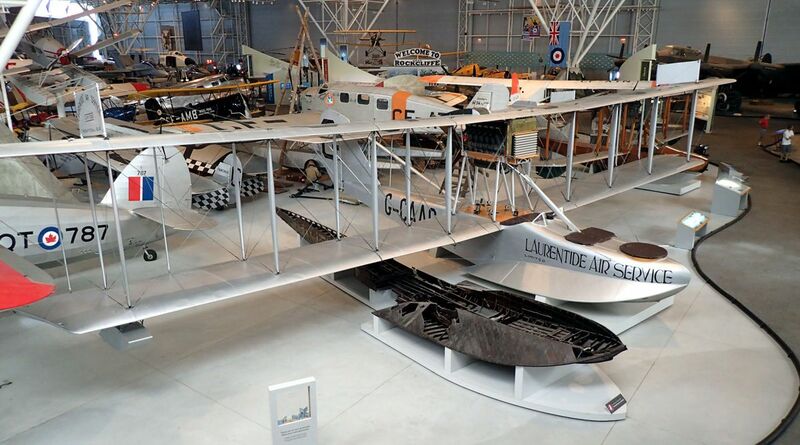 The Museum’s HS-2L was reconstructed from wreckage found in Northern Ontario in 1922. Part of the wreckage is displayed beside the plane. The Lancaster Bomber may be the most widely used heavy bomber of World War II. Lancasters flew over 156,000 sorties in Europe, many of them at night. 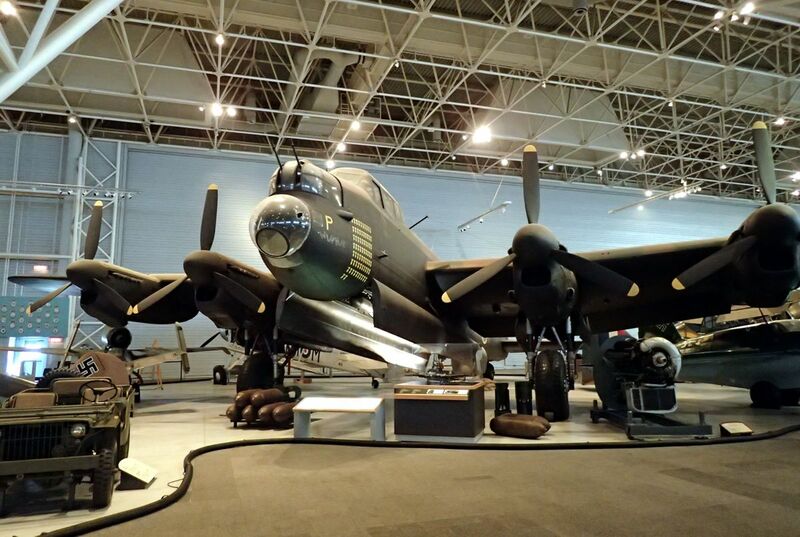 The Museum’s Lancaster, a Canadian-made Avro Mark X (with a tally of 72 bomb sorties painted on the nose), is one of the most complete Mark X models in existence. A separate Museum display — the nose of a Lancaster Mark X with panels removed — gives visitors a close-up look at the flight stations of some of the seven-man crew, including the “bomb aimer” who lay in the tip of the nose. 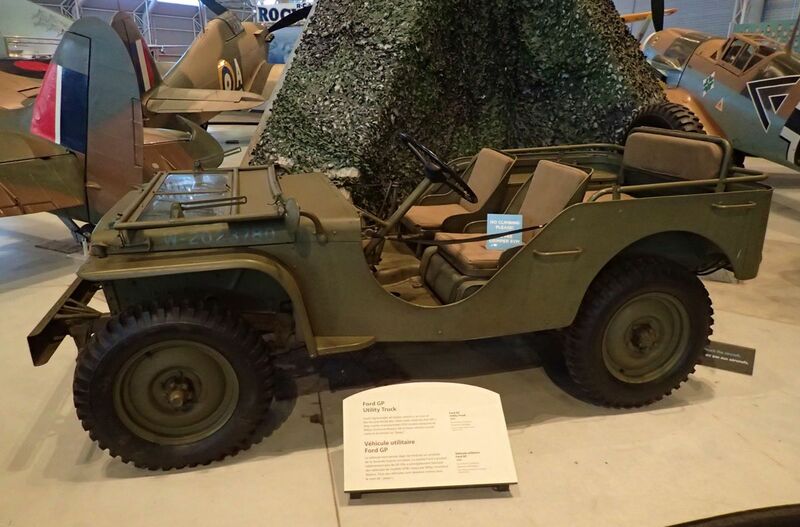 The term “jeep” — as in the 4×4 all-terrain vehicle — has its roots in this World-War-II-era Ford GP Utility Truck, later manufactured with a Willys engine as the Ford GPW. GPs and GPWs — soon just called jeeps — were the light-duty workhorse of the Second World War. Their legacy lives on today. The Royal Canadian Air Force and Avro Canada designed the CF-100 in 1949 as a long-range, all-weather fighter capable of intercepting Soviet nuclear bombers, should they appear over the Arctic during the Cold War. 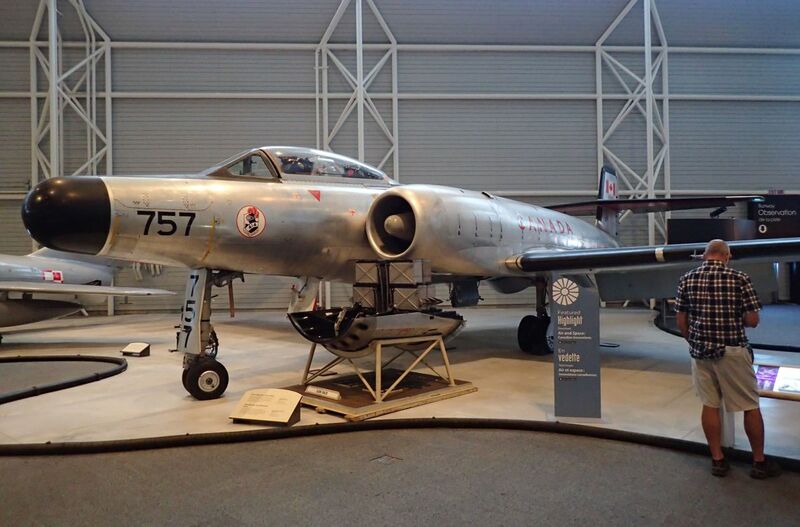 Almost 700 CF-100s were manufactured in the 1950s, including the Museum’s CF-100, which saw operational service. This Canadian plane became one of the best all-weather fighters of its era. I admit: this one caught my eye because of the movie Top Gun — but the Top Gun bad guys actually flew MiG-28s, fictional planes portrayed by Northrop F-5 Freedom Fighters, which are nowhere in this Museum. But the compact, Soviet-designed MiG-15 is still one neat aircraft. It was one of the first fighter planes to successfully use short, swept-back wings to reach high speeds. 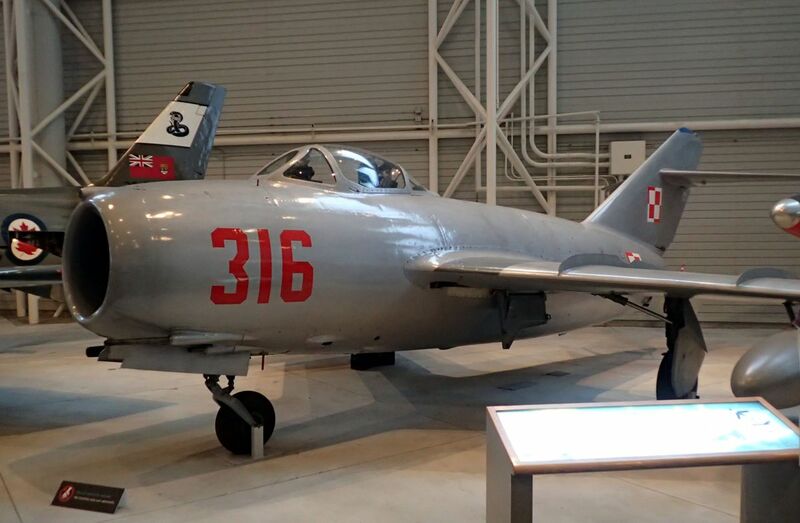 The MiG-15 became one of the world’s most-produced fighter planes, with over 15,000 manufactured between 1948 and 1961. The plane has served in over 40 air forces worldwide. The supersonic CF-188 can generate enough thrust to lift 24 full-sized pick-up trucks off the ground. It is also the Royal Canadian Air Force’s front-line multi-role fighter, used for air defence, tactical support, training, aerobatic demonstration and aerospace testing and evaluation. 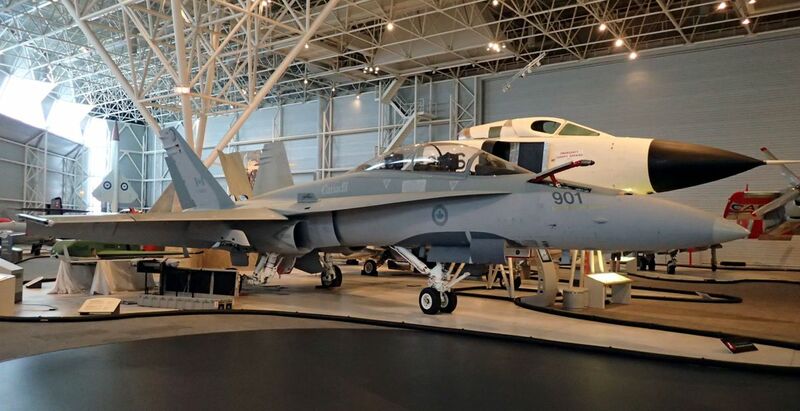 The Hornet was designed by the United States Navy, and the Museum’s fighter is the first Hornet produced for Canada — as the CF-188 — in 1982. Did you know that pilots who eject from fighter planes are instantly rendered unconscious, but they won’t die, even though they will likely hit the ground at speeds of 80 kilometres per hour? Or that the anti-gravity flight suit, a.k.a. the g-suit, was invented by a Canadian? 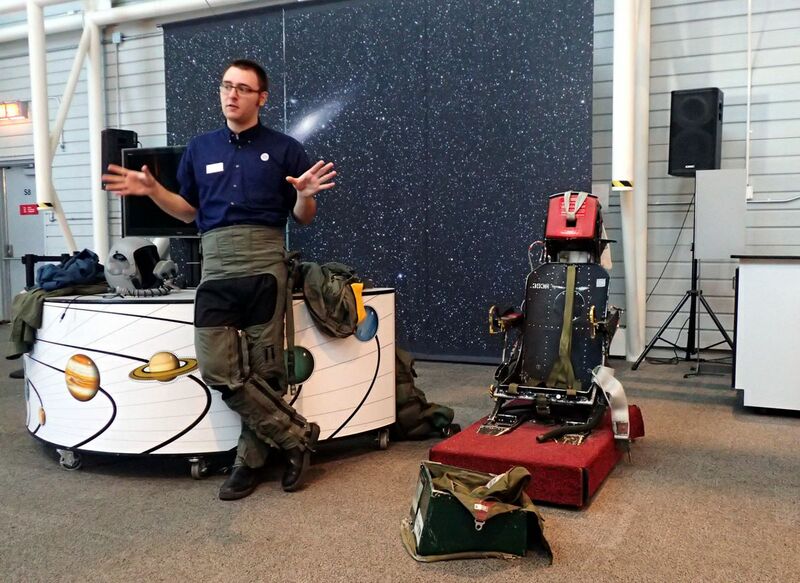 I learned this and more during an ejection seat demonstration, one of several daily activities available at the Museum. Be sure to check out the section on space history. Here, you can view the Canadarm, see astronaut Chris Hadfield’s launch and landing suit, and learn about life on the International Space Station — including how astronauts eat, sleep, keep healthy — and relieve themselves — in zero gravity. For Museum location, hours and admission rates, visit Canada Aviation and Space Museum.